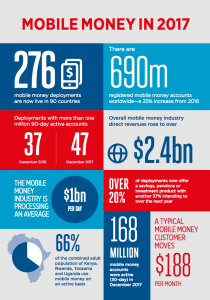 Mobile Money and financial inclusion - the past, present and future! The foundation for mobile money was laid down by two companies, Globe Telecom and Smart Communications, who have been operating money transfers in the Philippines since around 2005. 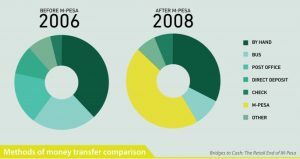 However, it was only introduced in Africa by Vodacom in the form of M-Pesa which was launched in 2007. 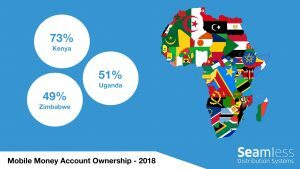 Starting in Kenya, this service aimed to invent and revolutionize the mobile banking industry in a region where 80% of the population remained without access to any formal financial services i.e. unbanked. Future is digital, and mobile money sits on top of it. Over the years, as the mobile phone and smart phone penetration has grown, mobile money has shown a tremendous growth surge, helping the unbanked live a more financially stable life. The initial resistance by the banking industry towards this setup was driven by the fact that banks couldn’t fully understand the dynamics of mobile banking and resisted it as they were worried about its risks and repercussions. The primary challenges faced by financial institutions like banks that forced them to extend their services to only a limited set of individuals and corporations were that they have very high cost heads as well as a strong preference for cash over digital transactions. Maintaining a customer account has a fixed cost associated with it, which makes it unfeasible for them to offer their services to the lower economic segments of the society. Since the breakthrough of this technology more than a decade ago, new business models based around agent networks have emerged. 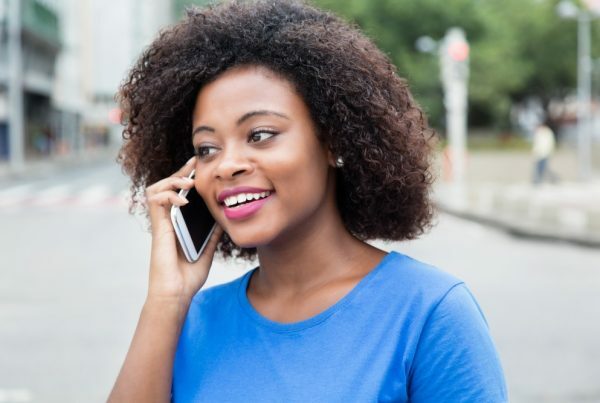 Telecom operators, utilizing their existing reseller and agent network, are at the forefront of leading us towards a more inclusive future. The financial services provided by these agents fall under the category of agent banking where they reap the benefits of not being restricted by working hours, space or an area. This has led to a wide network of agents registering as small-scale entrepreneurs, consequently leading to a mass market of financial services for low income groups. Research by the Partnership for Financial Inclusion has concluded that it is 25% less costly to expand banking services through an agent network than through traditional bank branches and this provides sufficient evidence for other institutions to follow suit. People overcoming their digital cultural shock and acceptance of mobile as a legit avenue of transactions has further added to the growth spurt of Mobile Money. At present, customers can make deposits, withdrawal, transfer money or make payments through mobile money. Started as a money transfer tool, mobile money today has evolved into a much more complex service where telecom operators allow customers to not just pay their bills but also have access to financial services like loans, transfers, insurance and savings etc. The process behind registering a mobile money account ensures that sufficient data is there to establish credit worthiness of the customer. This opens up various opportunities to extend these services to people who otherwise lack the history or collateral to obtain credit. Not only this, mobile money today is solving the problem of lack of small change in circulation as well as encouraging micro-entrepreneurship as it offers a new career path in the form of a mobile banking agent. What does the future hold for mobile money and financial inclusion? In Africa, the move now is towards going cashless in transactions through introduction of wide-spread digital merchant payments powered by mobile money. The vision is to encourage merchants like gas stations, restaurants, stores etc. to accept digital payments using simple Point-of-Sale devices or even just their mobile phones. There’s much to learn and follow through actual examples present in the world, like in case with China, where the whole economy is cashless and running very efficiently. That kind of efficiency and mass-acceptability cannot be achieved when players work alone, but can only be realized once collaborations are undertaken between all the industry stakeholders. This mutual collaboration begins with banks and telecom operators to sped fast growth, allowing banks to increase their bottom line while telecom operators to expand their service portfolio. In future, increased smartphone penetration will rewrite the course of financial inclusion as it will enhance user experience through rich interfaces. It is going to be the primary driver to accelerate product and service innovation in mobile money as companies jump the bandwagon to take advantages that smartphones can enable.